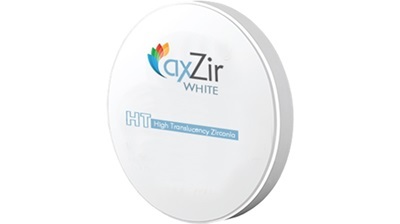 AxZir HT-White Dental Zirconia AxZir Discs are optimized for open systems. 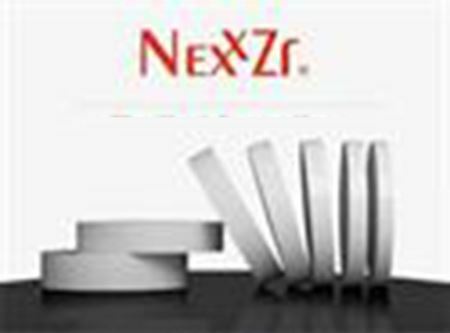 All blanks consist of pre-sintered zirconium dioxide stabilized with yttrium oxide (3Y-TZP-A). These blanks are distinguished by their enhanced strength and long-term hydro-thermal stability. An absolutely homogeneous structure is achieved through a specially developed production process. The blanks are optimized for rapid milling strategies and provide excellent edge stability and green body breaking strength during processing. AxZir products come from one of the largest zirconia manufacturer in the world and with over 45% market share, the biggest in China are exported to more than 69 countries in the world. All of our products are CE, FDA certified. 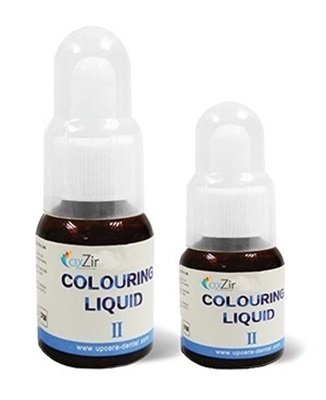 Intended use: Coloring Liquid is a liquid used for the complete or partial coloration of milled AxZir zirconia substructure and anatomy before sintering. 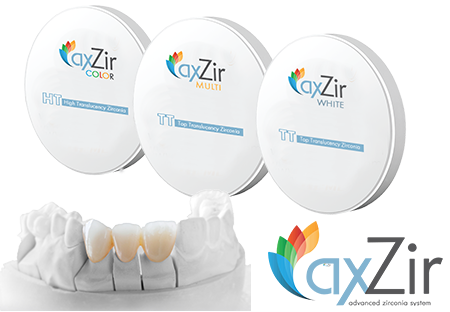 AxZir ST-White Dental Zirconia AxZir Discs are optimized for open systems. All blanks consist of pre-sintered zirconium dioxide stabilized with yttrium oxide (3Y-TZP-A). 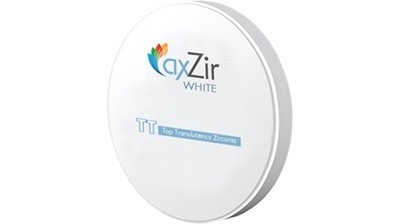 AxZir TT-White Dental Zirconia AxZir Discs are optimized for open systems. All blanks consist of pre-sintered zirconium dioxide stabilized with yttrium oxide (3Y-TZP-A).